Source: Punch, 14 October 1981, page 652. 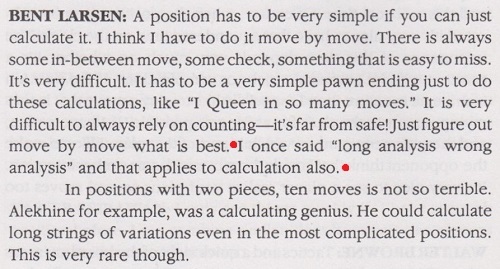 A chess article on the same page, ‘Above Board?’ by Jonathan Sale, attained a similar level of humour. 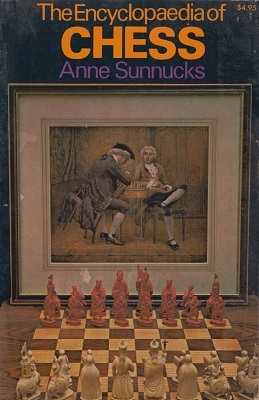 Chess literature has references by the barrowful to what this or that master ‘used to say’, but responsible writers do not diffuse such material without secure sources. The ‘long/wrong’ saying is commonly attributed to Larsen, e.g. by A. Soltis on page 190 of The 100 Best Chess Games of the 20th Century, Ranked (Jefferson, 2000) and on page 27 of The Wisest Things Ever Said About Chess (London, 2008). In each case the wording offered was ‘long variation, wrong variation’, and the corroboration offered was zero. 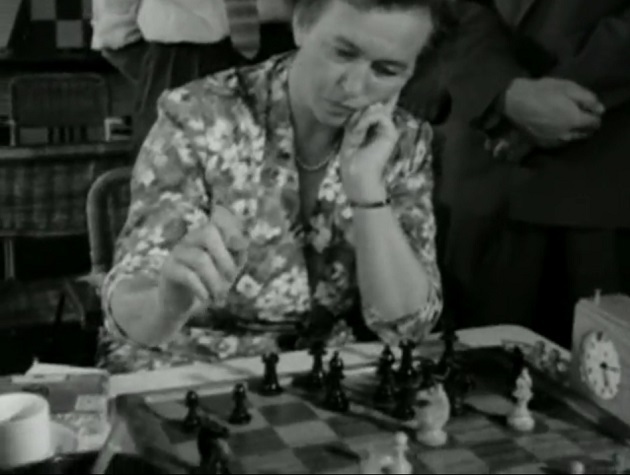 A game by Arne Desler was discussed in Chess and The Prisoner. 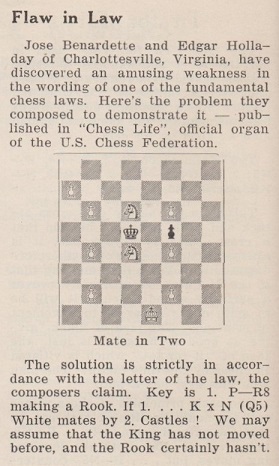 Source: page 119 of Complete Book of Chess Stratagems by Fred Reinfeld (New York, 1958). There was a detailed report on pages 253-254 of the June 1927 BCM. 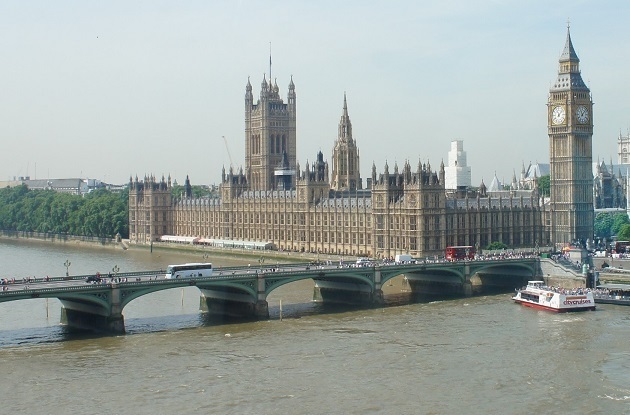 The event will be referred to in our feature articles Chess and the House of Commons and Chess and British Royalty, although so far we have found no apposite pictures of either the Prime Minister (Stanley Baldwin) or the Duke of York (the future King George VI). 20 Rxf7+ Rxf7 21 Bxf7 Bb6 22 Rf1 Rf8 23 Qc3+ Kh6 24 Rf6 Rxf7 25 Bf4+ Kg7 26 Rf5+ Kg8 27 Rxh5 Bxh5 28 Be3 Ne5 29 Bxb6 axb6 30 Qh3 Bg6 31 Qc8+ Kg7 32 Qxb7 Nc4 33 Qd5 Ne5 34 Kg1 Rf4 35 Qb7 Rf7 36 Nf1 Ng4 37 Qd5 Rxf1+ 38 White resigns. 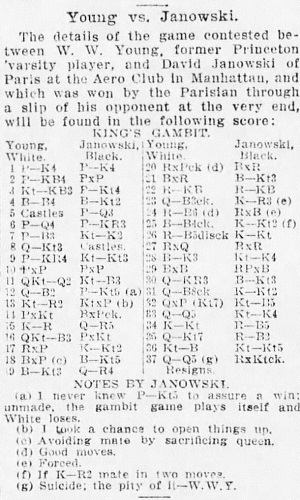 Later that year, W.W. Young (1877-1940) was described by the American Chess Bulletin (July 1913, page 162) as an engineer in a full-page feature on ‘The Young Gambit’, which gave his well-known 13-move win against Marshall in Bordentown, NJ. 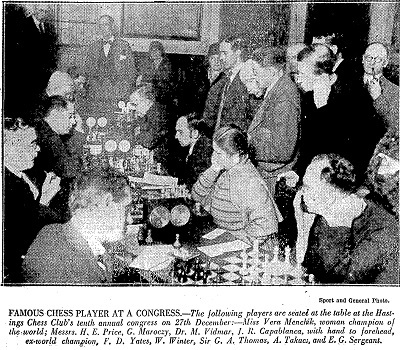 The picture was taken during the first round, the pairings being (from the background to the foreground): Takács v Maróczy, Thomas v Vidmar, Winter v Capablanca, Menchik v Price and Sergeant v Yates. What more is known about the case? 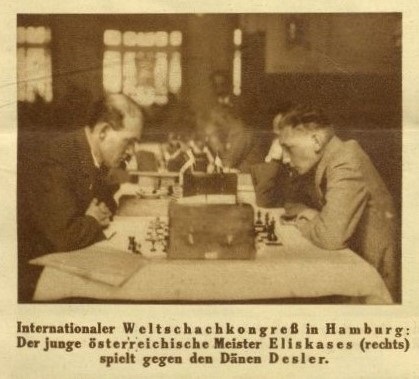 It is notable that early reports mentioned no chess connection. (On his early interest in chess.) ‘I just found that I had more of a feel for the game, more of a knack for winning, than others had. I liked games: I was playing a lot of board games at home. We had Pachisi, Monopoly and all these board games, Chinese chequers and what not, but I kept hearing the hardest game was chess, so I finally persuaded my mother to give me that. They thought that it would be too advanced for me, but they finally got me a set, and that is the game that I concentrated on from then on. When I was playing these other games they were too simple. There was something that didn’t turn me on about games like Chinese chequers. I played a little with my sister, but she wasn’t too interested, so then I started playing games with myself. I would make the white moves and the black moves, and then I would just play through the whole game. My mother started to get worried that it wasn’t too healthy, playing chess by myself all the time, so she got me some opponents, local kids. 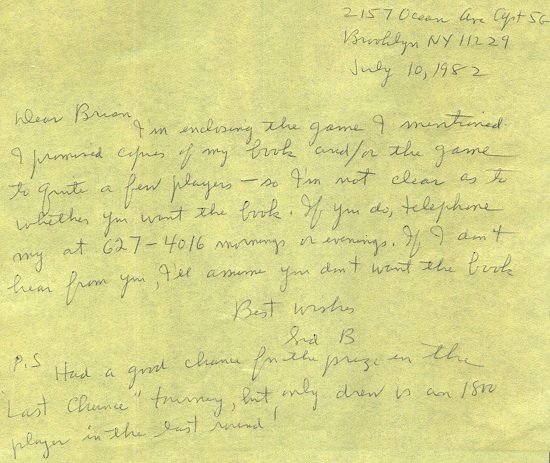 I started getting lessons from a player in the Brooklyn Chess Club, and that is when I started to advance. I was lucky: he taught me an awful lot of things. I don’t think it would be possible to have a better teacher. We worked together for several years. I was giving him about a dollar a lesson, one a week. 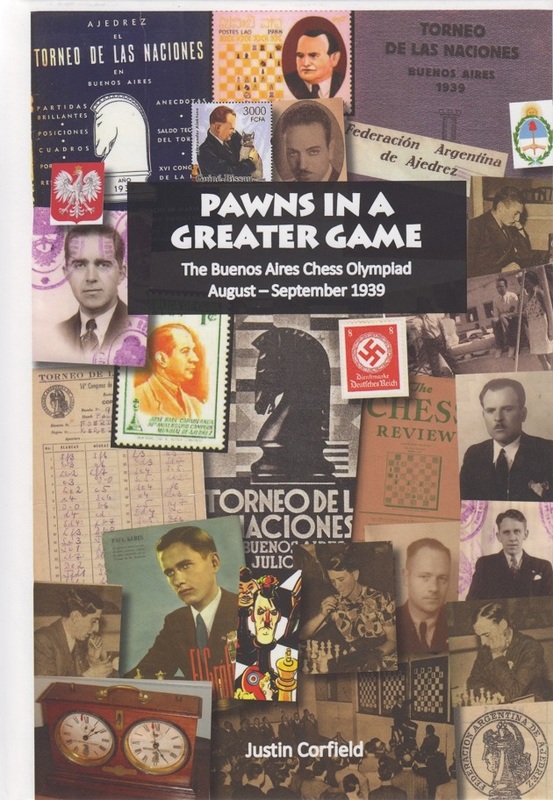 A deeply researched, richly illustrated 384-page hardback has just been received: Pawns in a Greater Game by Justin Corfield (Lara, 2015). 9270. Boris Eliacheff v N.N. 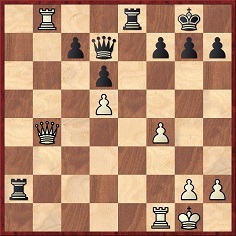 1 f4 e5 2 fxe5 d6 3 exd6 Bxd6 4 Nf3 g5 5 d4 g4 6 Ng5 f5 7 e4 Be7 8 Nh3 gxh3 9 Qh5+ Kf8 10 Bc4 Qe8 11 Qh6+ Nxh6 12 Bxh6 mate. On page 62 of Irving Chernev’s 1000 Best Short Games of Chess (New York, 1955) White was identified as ‘Eliascheff’. It may be naive to hope that many cheap-jack peddlers of untrue, uncertain and unsubstantiated quotes, anecdotes and other would-be information will care if those two words are, for instance, systematically tagged onto their vacuous Internet postings, but the attempt has to be made. ‘Source, please’ is a measured, much-needed plea for writers to act responsibly and for readers to be treated respectfully. Chernev adhered to the same list in his book The Golden Dozen (Oxford, 1976) but did not explain the omissions. 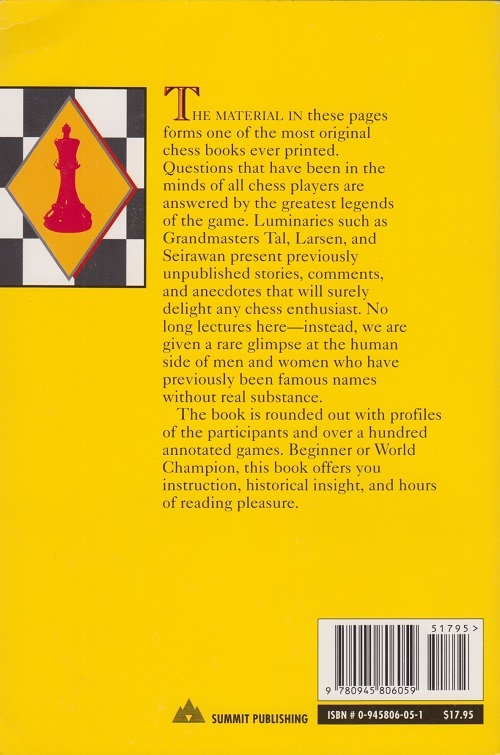 His CHESS article was prompted by a poll conducted a few years earlier by William D. Rubinstein, whose report, ‘Who are, or were, the Greatest?’, was published on pages 75-76 of CHESS, 5 November 1970. 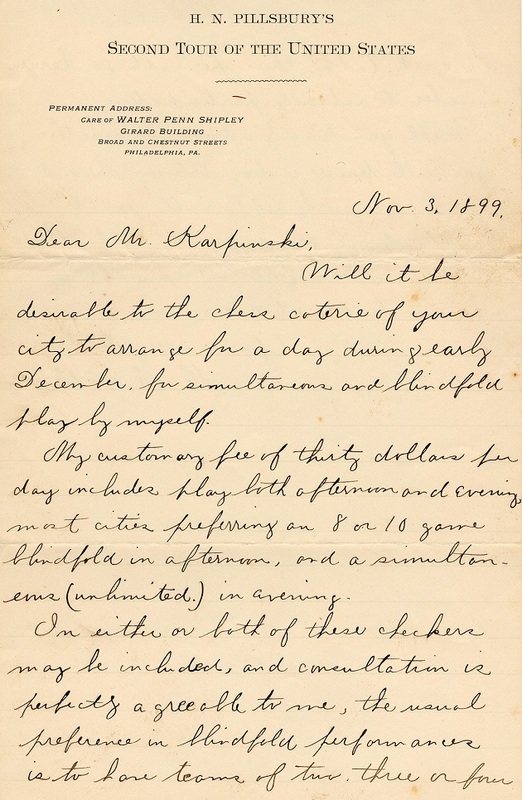 Chernev was one of many prominent contributors, and in the 1980s Rubinstein sent us copies of all the correspondence. He has now given us permission to reproduce some of the material here. If “best” means: “of greatest practical playing strength” my answer is, that the twelve “best” are probably all alive to-day. I know that in an interview, which as far as I remember was also published in Chess Life, I mentioned Alekhine among the ten best, but at second thought I would put Alekhine lower than number 12 on the list. His most brilliant successes were against much weaker opposition than in a good grandmaster tournament to-day. 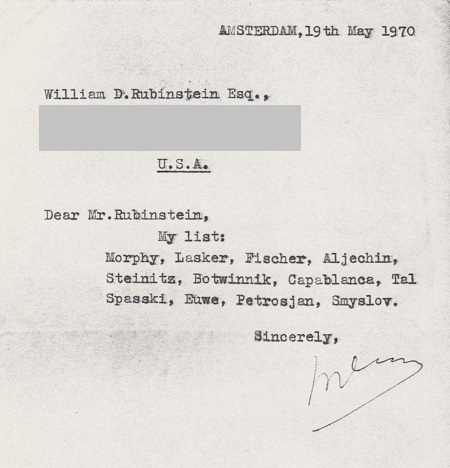 Of course, when I mention Botvinnik, Keres, Smyslov, Tal and Bronstein, my thoughts go back ten years or more. Then add Petrosyan, Korchnoj and Spassky, these eight russians belong to the list of twelve, in my opinion. So do Fischer and I. 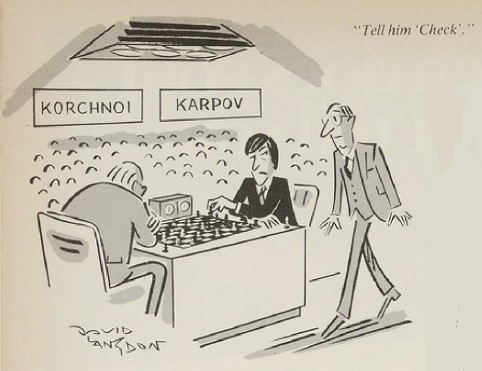 The last two I would have to find between Gligoric, Reshevsky, Fine, Najdorf, Portisch and Hort, probably the first two. To enumerate the ten or twelve is a little difficult, I am not a neutral observer. 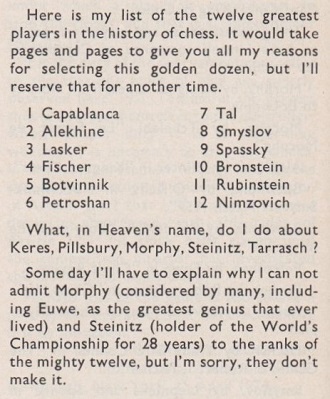 I would rank Botvinnik higher than Keres, that is about the only thing I can say. See too Larsen’s remarks (e.g. ‘If I were put back in the early 1920s, it would be easy, very easy to be world champion’) in his January 1973 discussion with C.H.O’D. Alexander, as quoted in Bent Larsen (1935-2010). 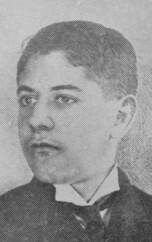 In 1916 Janowsky won a brilliancy prize against Chajes. 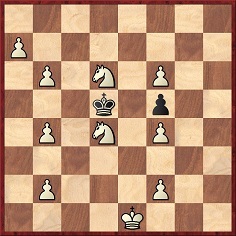 ... An identical position arose 15 years later when Mikėnas playing against Kashdan took a perpetual check. 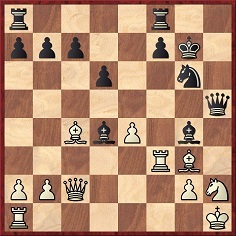 In 1906 Chigorin (aged 56, and past his best) played 27 R-B7 [against Rubinstein] and his opponent resigned. 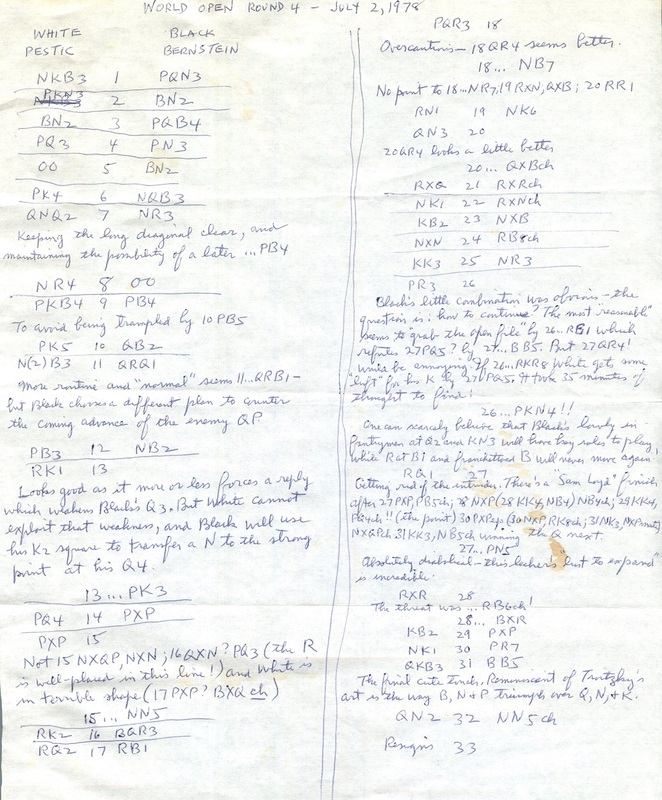 Forty years later ... Smyslov (soon to be champion) took a perpetual check [against Lundin]. 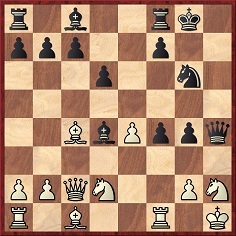 [Taimanov v Larsen]. Black lost after 63...K-K4? instead of 63...R-KR1ch= (Palma de Mallorca, 1970). To pursue the topic of the greatest players past and present, information is sought, in particular, on other occasions when Larsen gave his views. 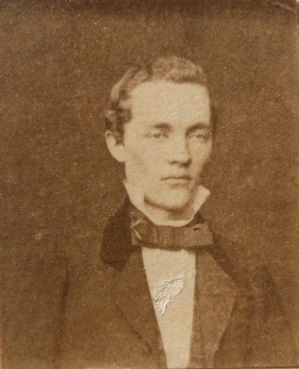 Our correspondent points out that a similar photograph, believed to be taken by Sam Loyd during the New York, 1857 tournament, was reproduced, from the Russell Collection archives, in the International Chess Calendar 1991 (Russell Enterprises, Inc.). The Gallica website has a photograph of the prodigy Reshevsky with the opera singer Joseph Schwarz (1880-1926). The 32 units are placed on the board so that none can move. 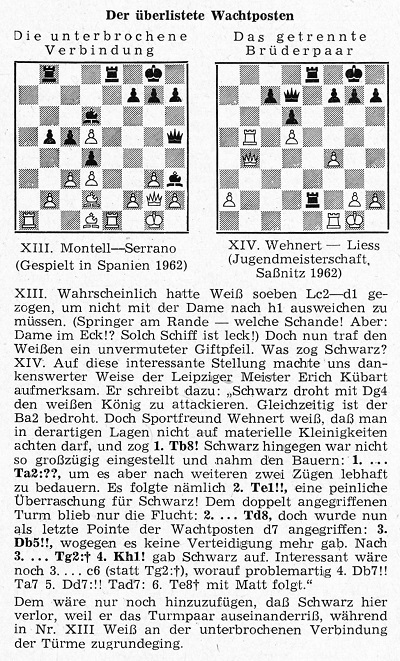 Our correspondent notes that according to pages 182 and 185 of Erfolgreich kombinieren by Volkhard Igney (Zurich, 2002) the conclusion was 1 Re1 Rd8 2 Qb5 c6 3 Qb6 Rc8 4 dxc6 Rxg2+ 5 Kh1 and wins, whereas pages 27 and 190 of Improve Your Chess Tactics by Yakov Neishtadt (Alkmaar, 2011) had 1 Re1 Rd8 2 Qb5 Rxg2+ 3 Kh1 Resigns; the headings in the books were, respectively, ‘Wehnert-Liess, Saßnitz 1962’ and ‘Wehnert-Leiss, East Germany 1962’. On page 399 of the September 1978 BCM W.H. 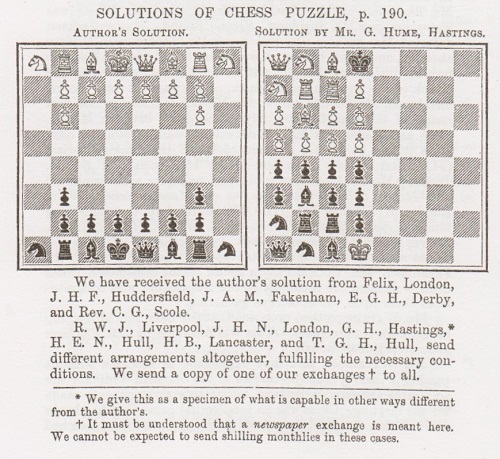 Cozens remarked that The Encyclopaedia of Chess by Anne Sunnucks (London and New York, 1970) was ‘loaded with what we must now call female chauvinism’, and on the following page he pointed out that since the entry for ‘Hastings Christmas Chess Congress’ contained crosstables printed one to a page, that single entry occupied one-thirteenth of the whole book. Some repairs were made in the second edition (London and New York, 1976), but it received little attention. 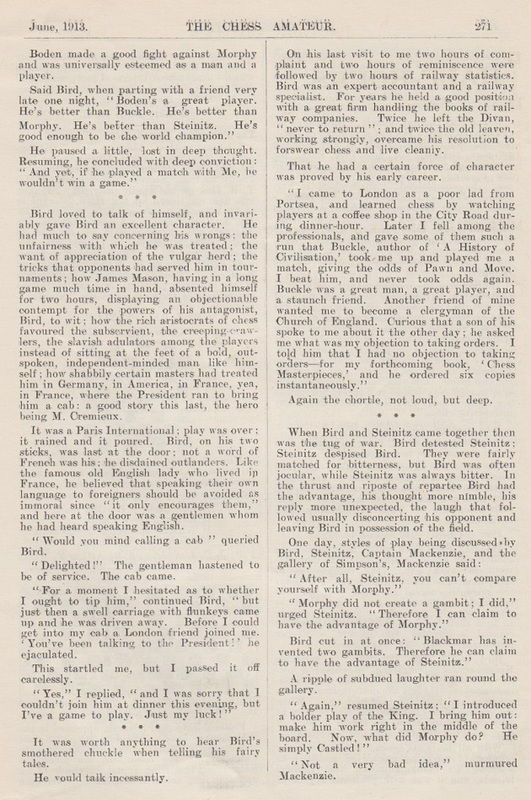 Having watched The Story of LIFE Magazine, Michael McDowell (Westcliff-on-sea, England) points out that the comments about Fischer by the photographer Harry Benson (in the sequence beginning at about 54'15") are markedly different from what Benson said in the documentary Bobby Fischer Against the World (C.N. 7345). 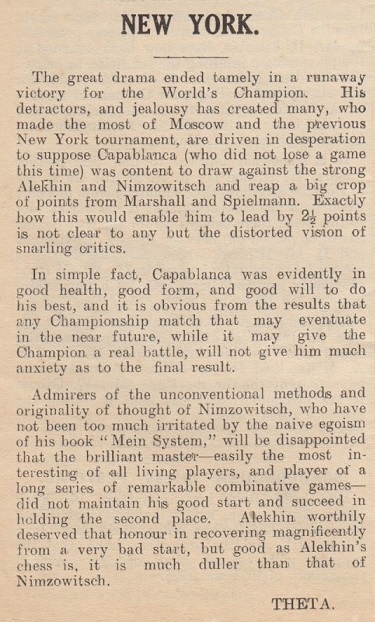 ‘... all attempts – I am happy to say – to show that chessplayers have some unique mental faculty (e.g. exceptional memory) have been unsuccessful; the only respects in which they are superior to non-chessplayers of the same general calibre seem to be those in which their experience of chess is directly relevant. 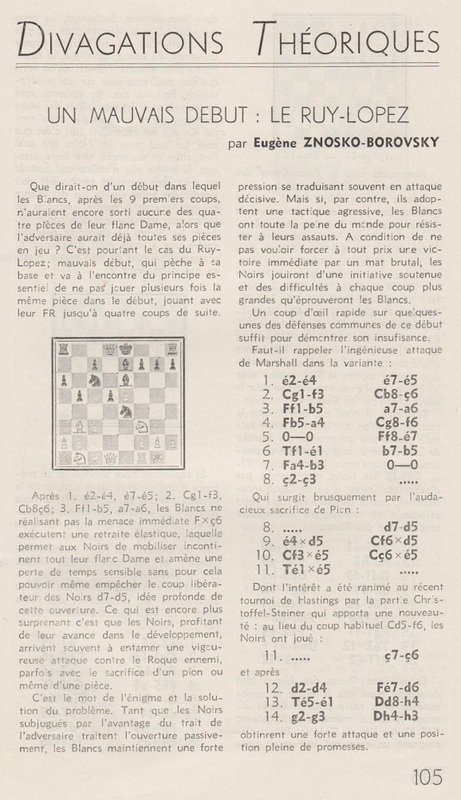 C.N.s 2447 (see page 393 of A Chess Omnibus) and 9260 have quoted from How To Get Better At Chess by L. Evans, J. Silman and B. Roberts (Los Angeles, 1991), and Jean-Pierre Rhéaume (Montreal, Canada) asks for details about the genesis of the work. 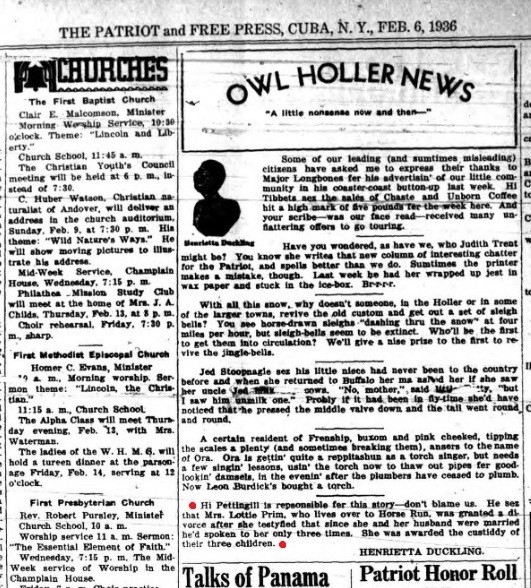 The introductory section on pages ix-xi states that the book is based on interviews conducted by Betty Roberts, but information is sought as to the circumstances and whether full transcripts are extant. Source: C.J.S. 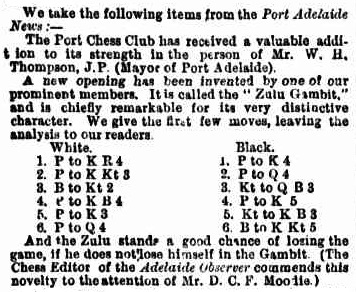 Purdy, Chess World, 1 February 1950, page 43. 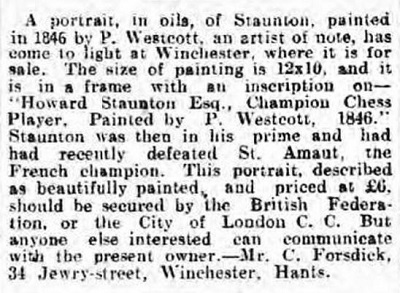 Philip Westcott was a portrait painter, born about 1815 in Liverpool, where he is to be found at the time of the 1841 and 1851 censuses. 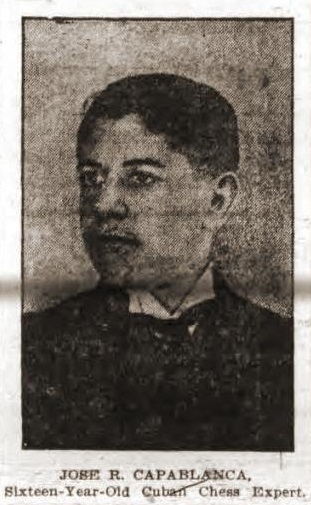 Sir Richard Barnett died later in 1930, his obituary appearing in the Times of 18 October, page 14. 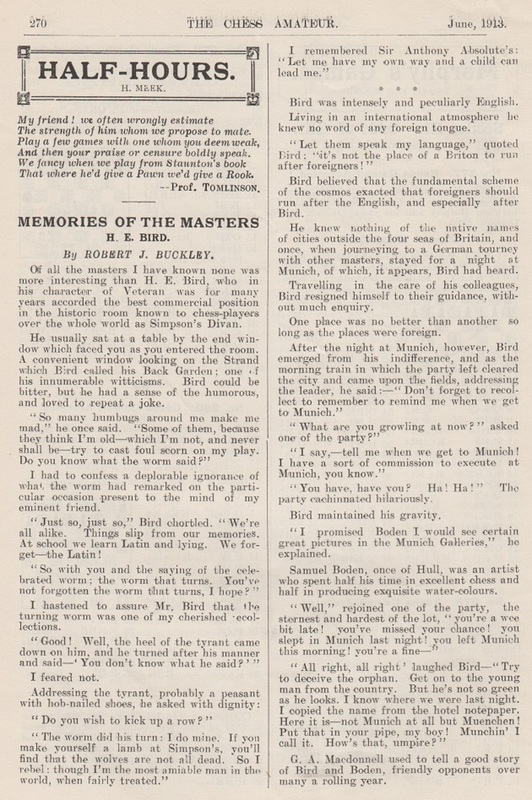 From the same site which provided the footage of Prague, 1942 and Prague, 1944 in the previous item, we point out Dutch film reports on the first part of the world championship match-tournament (The Hague, round nine, 23 March 1948) and the first Women’s World Team Tournament (Emmen, 1957). Further to Chess and Women (a feature article which has just been greatly expanded), Vladislav Tkachiev (Moscow) asks what rules have ever existed, whether before or after the foundation of FIDE, which specifically permitted women to play in men’s tournaments, or specifically debarred them from doing so. Our latest feature article is on the ‘fantasy opening’ 1 h4. As mentioned in the feature articles on Stefan Zweig and Alistair Cooke, the link to a video clip referred to in C.N. 7520 became invalid. Paolo Bertino (Madrid) has now provided a new link. Ross Jackson (Raumati South, New Zealand) draws attention to a Ph.D. dissertation ‘Storming Fortresses: A Political History of Chess in the Soviet Union, 1917-1948’ by Michael A. Hudson (September 2013). 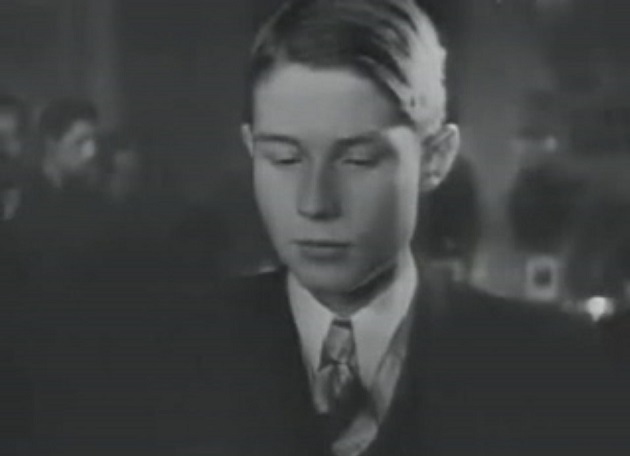 ‘In 1944, for his participation in the French Resistance, François Le Lionnais was arrested and deported to the concentration camp Dora-Mittelbau. On pages 294-302 of Autour de la plage Bonaparte (Paris, 1969), in a chapter entitled “Le Joueur d’échecs”, the author, Rémy, recounts a conversation in which Le Lionnais described how his internment was made more tolerable when his guards learned of his expertise in chess. 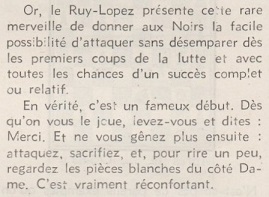 “A ma stupéfaction, j'ai retrouvé un beau jour sur le rectangle de papier un morceau d’un article sur les échecs publié naguère sous ma signature dans la collection l’Empreinte” (page 294). With this Le Lionnais was able to gain the attention of a high-ranking guard who sought his advice on adjourned positions of games he was playing against other guards, and because of this relationship his situation began to improve. Although he continued to be subjected to brutal interrogations, he was now treated with some measure of respect. He began to receive Red Cross parcels previously unavailable to him, and was given access to books to satisfy his insatiable desire to read. 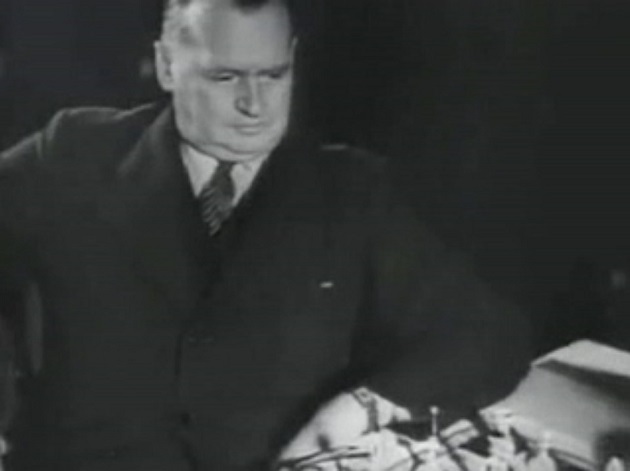 Eventually he was able to convince another guard, a cousin of Rudolf Hess, that he could produce a valuable treatise on chess. 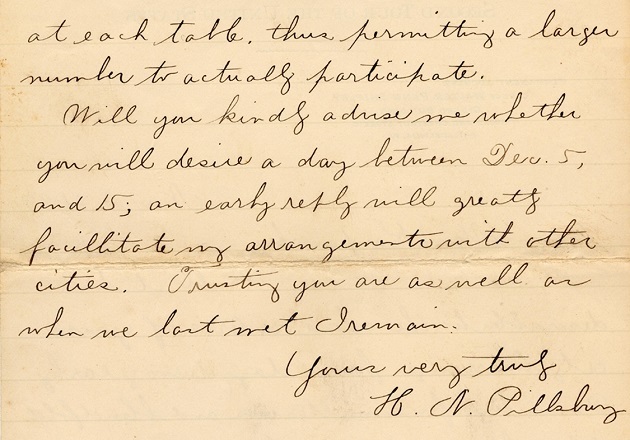 He was thus able to obtain writing materials, enabling him to slip an important message to a fellow prisoner, and his handcuffs were removed. 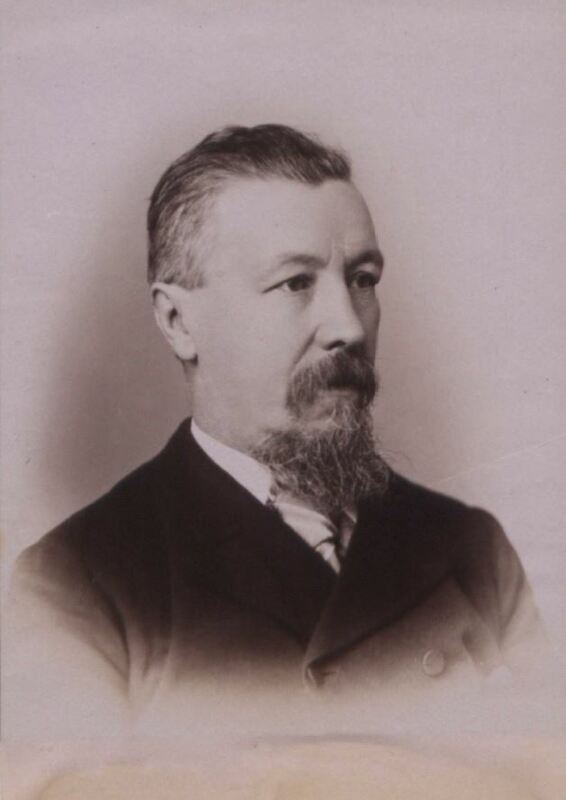 He then began work on his book, “en commençant par l’histoire du jeu d’échecs, suivie d’un exposé théorique et d’exemples concrets choisis parmi les centaines de parties que je connaissais par cœur” (page 299). The completed manuscript was called “Le Labyrinthe des échecs”, and upon his return to France he was told that it had been recovered: “Je suis ainsi rentré en possession de mon travail, qui figure aujourd’hui au musée de la Déportation, où vous pourrez le voir si vous allez aux Invalides” (page 302). Is more information available regarding this manuscript? 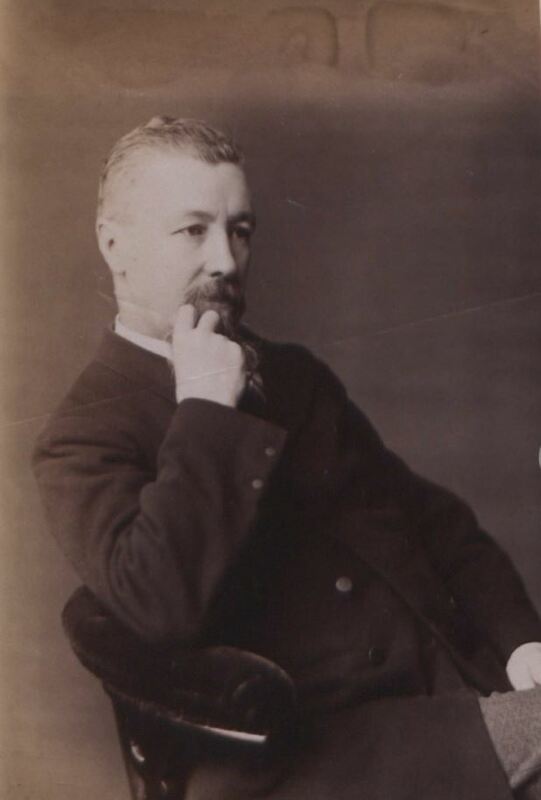 Joseph Henry Blackburne. 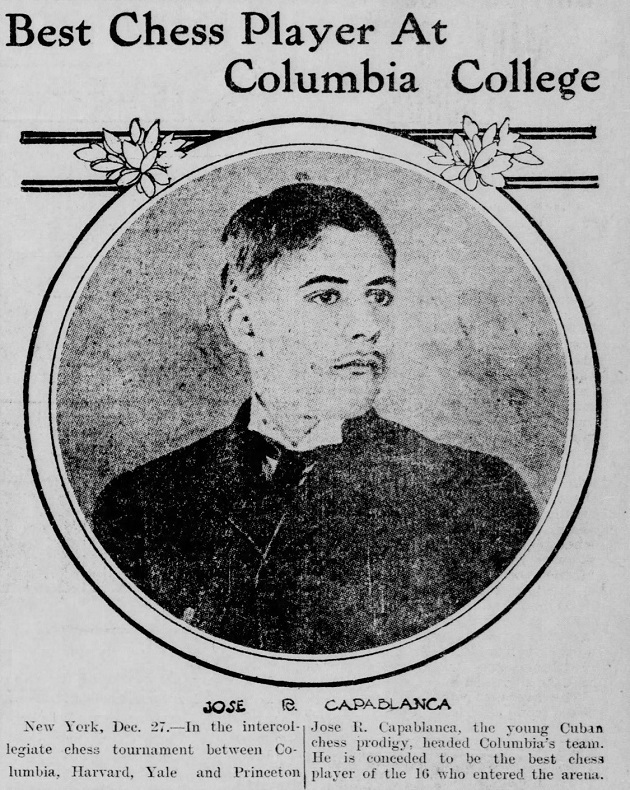 Photographs taken by David James Scott (January 1892). 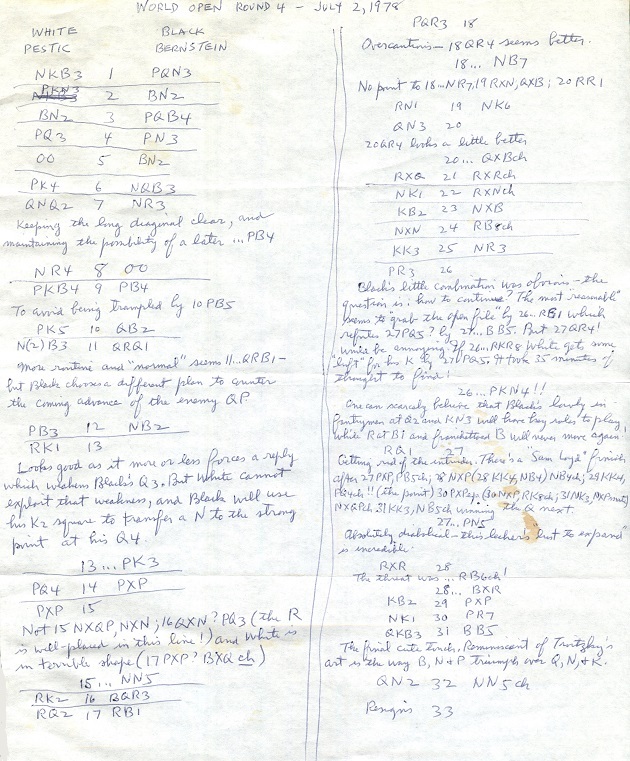 Hans Renette (Bierbeek, Belgium) asks what grounds Bird had for stating that ‘Blackmar has invented two gambits’ (C.N. 9084). 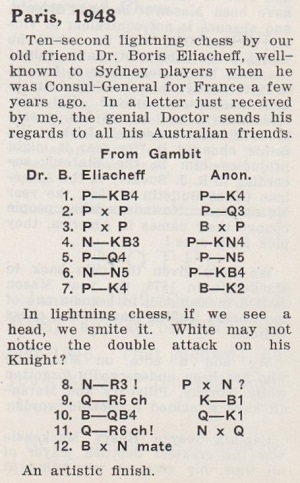 Readers’ suggestions are invited as to the second gambit. 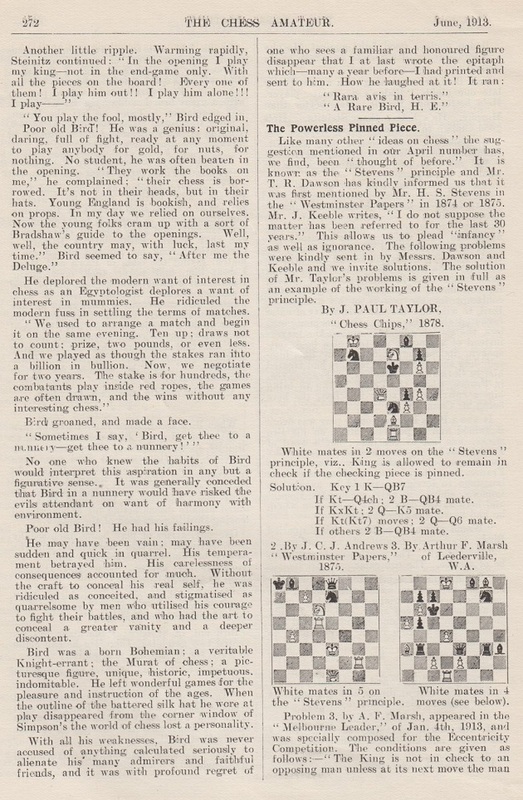 The full article in question is shown below, from the Chess Amateur, June 1913, pages 270-272 (‘Memories of the Masters. H.E. Bird’ by Robert J. Buckley). The Blackmar comment is near the bottom of page 271. The solution is 1 a8(R). If 1...Kxd6, 2 Rd8 mate, and if 1...Kxd4 then 2 O-O-O mate. 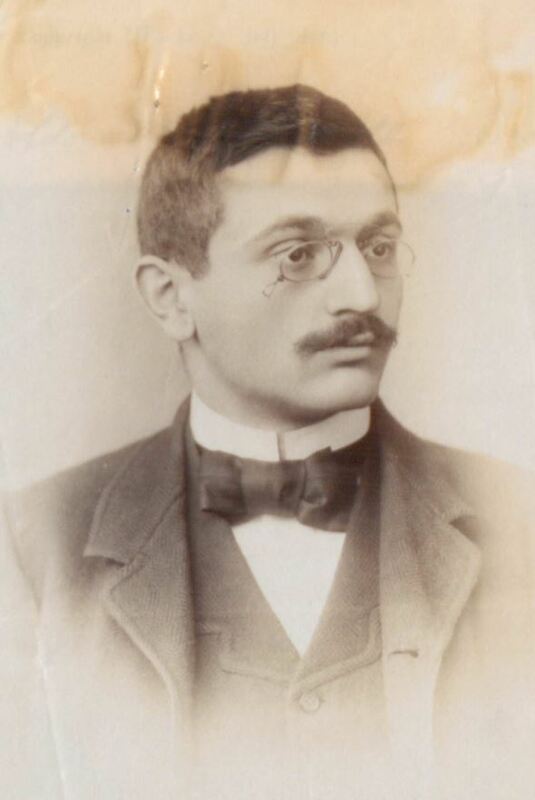 William D. Rubinstein (Melbourne, Australia) reports that the latest supplement to the Oxford Dictionary of National Biography includes a chess figure, P. Stamma. The article, by John-Paul Ghobrial, is available on-line.